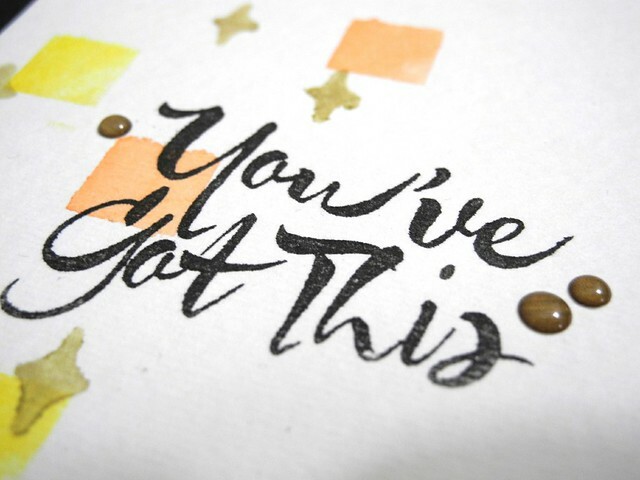 Just Jingle: You've Got This! 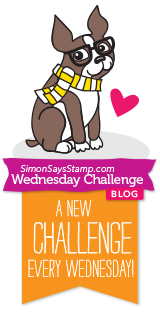 We have a new challenge for you over at the Simon Says Stamp Wednesday Challenge blog! This week it's all about the STENCILS! We want to see you pull out your stencils and show us how you use them! The Design Team is using products from The Crafter's Workshop this week, you don't have to use them to participate, but we would love to see what you do with them if you have some! I used a couple of different stencils along with gelatos to create my watercolor background. To use the gelatos, I just rub them onto my Ranger craft mat and then use the pigment with some water and a paint brush. I love the gold metallic pigment!!! 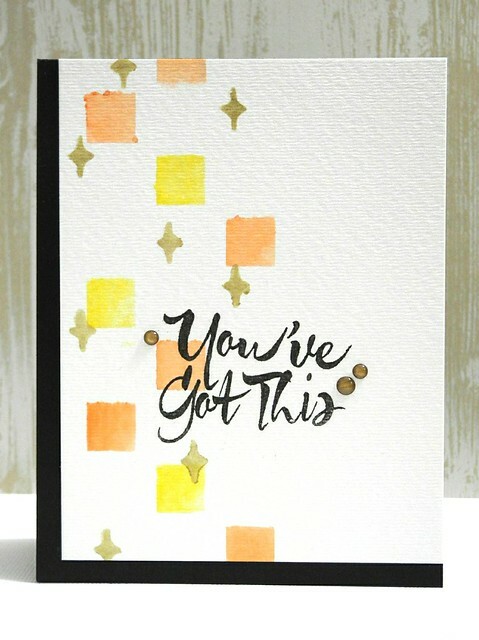 I used an awesome sentiment from Avery Elle and a few woodgrain enamel dots to finish off my card! Now it's YOUR turn! Create a NEW project using stencils in a fun and creative way and link it up to our challenge! One lucky winner will receive a $50 Gift Certificate to the Simon Says Stamp store! Woot! Woot! sweet card. love the watercolored look with that stencil. This is awesome, Jennifer! I love how you layered the stencils and those wood enamel dots are to die for! Love the layering of the stencils! Love the softness of the gelatos and the different stencils you used, great card! This is awesome, Jennifer. The layered stencils look fabulous. Woodgrain enamel dots? I MUST HAVE THEM! GREAT! A fabulous card Jennifer, I love your use of the stencils and gorgeous colour scheme!!! Awesome card Jennifer! Love that background!! What a neat design, Jennifer - so simple, but with that sentiment, just right! one of my favorites.. awesome designing.. This is awesome...yay for Avery Elle...can't wait to go shopping! Would never have thought to put black with the pastel colours, really makes them pop! It looks great too with the texture on the white cardstock. Modern, simple and clean...yay! COOL card! Love the use of gelatos! I'm such in love with a bright, graphic style! Beautiful eye popping color! Love it!